Panagiotis graduated from the University of Athens with a BSc in Chemistry in 2013. 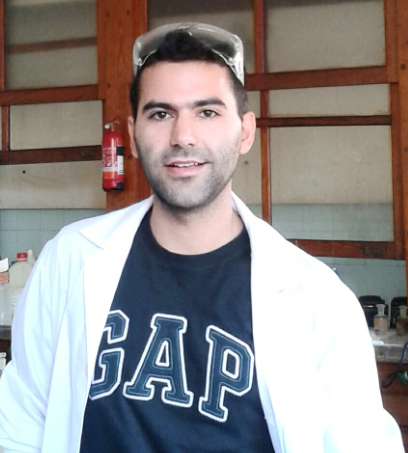 During his degree, he conducted his diploma thesis research studying the copolymerisation behavior of 2-Vinyl Pyridine and Oligo(Ethylene Glycol) Methyl Ether Methacrylates employing free radical polymerization procedures and high vacuum techniques working alongside Dr. Marinos Pitsikalis. He also completed his 4 month placement in the General State Chemical Laboratory in Athens working in the industrial raw materials division. In September 2014, he started his MSc by Research degree under the supervision of Professor Andrew Dove at the University of Warwick that was focused on thermally induced hyberbranching of polyesters and subsequent graft polymerisations for the synthesis of unimolecular core-shell particles. He has subseqently started a PhD under the cosupervision of Dr Olivier Coulembier in Mons, Belgium to investigate new stereocomplexing, functional materials funded through the SUSPOL EJD project.